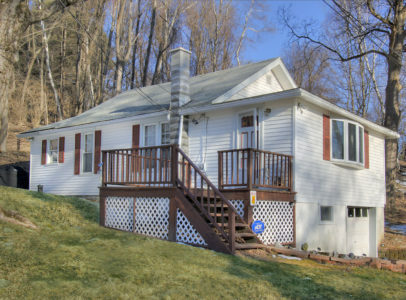 Just a little bit off Lakeview, on a private road, you’ll find this 2 BR home. Wood floors. Garage under. Distant Catskill views. Many updates. Shared dock just on the other side of Lakeview Road. Copake Lake is a full motor boat lake of about 425 acres. Copake County Club and The Greens Restaurant are just on the other side of the lake.